1 A None No Power Seat 1 A may have extra legroom. 1 C None No Power Seat 1 C may have extra legroom. 1 D None No Power Seat 1 D may have extra legroom. 1 F None No Power Seat 1 F may have extra legroom. 12 A None No Power Seat 12 A may have limited recline. 12 C None No Power Seat 12 C may have limited recline. 12 D None No Power Seat 12 D may have limited recline. 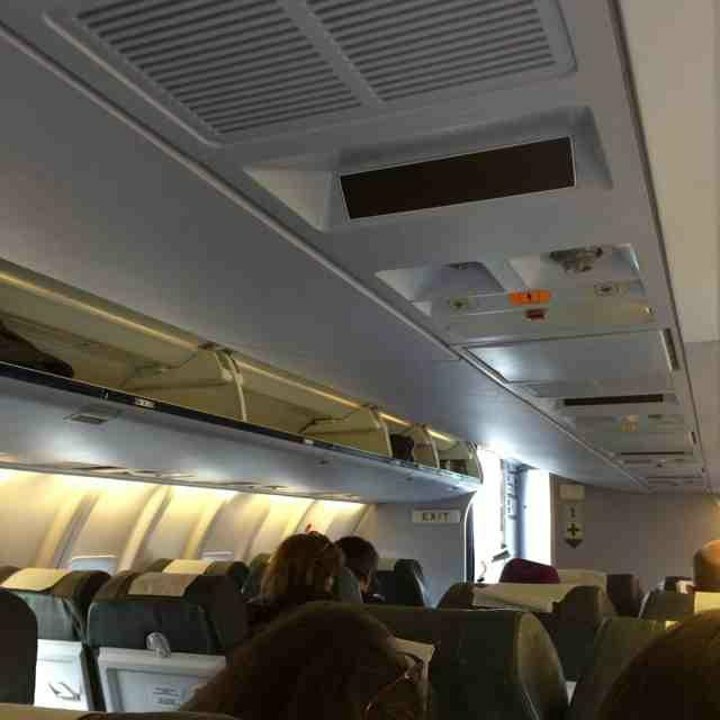 12 F None No Power Seat 12 F may have limited recline. 14 A None No Power Seat 14 A may have extra legroom. 14 C None No Power Seat 14 C may have extra legroom. 14 D None No Power Seat 14 D may have extra legroom. 14 F None No Power Seat 14 F may have extra legroom. 19 A None No Power Seat 19 A is in the last row. This seat may have limited recline. The proximity to the lavatory may be bothersome. 19 C None No Power Seat 19 C is in the last row. This seat may have limited recline. The proximity to the lavatory may be bothersome. 19 D None No Power Seat 19 D is in the last row. This seat may have limited recline. The proximity to the lavatory may be bothersome. 19 F None No Power Seat 19 F is in the last row. This seat may have limited recline. The proximity to the lavatory may be bothersome. Air France serves hot drinks and pastries in the morning, sandwiches at mealtimes, and a selection of refreshments and snacks at other times of the day. This version can hold up to 72 passengers and is used for short haul flights. Air France flies 1 versions of Air France CRJ-700.